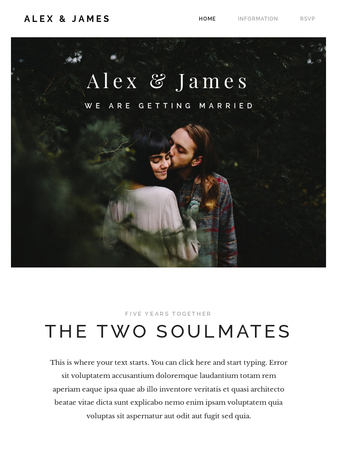 Looking for a unique template for your wedding website? Look no further! 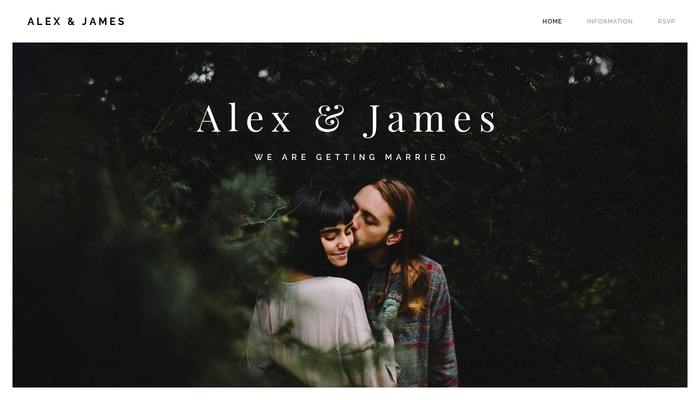 Striking fonts and bold pictures make this the perfect template for an extraordinary wedding. Add the venue, FAQ section or RSVP form and show your family and friends that your day will be truly special!